February 2011 Portrait Special! Family, Couple, Seniors etc. I am looking to meet new people and amazing clients this year, so why not offer a great promotion this month! If you have a great family amazing spouse, or just want some creative and fun portraits in unique locations this is the month to explore. 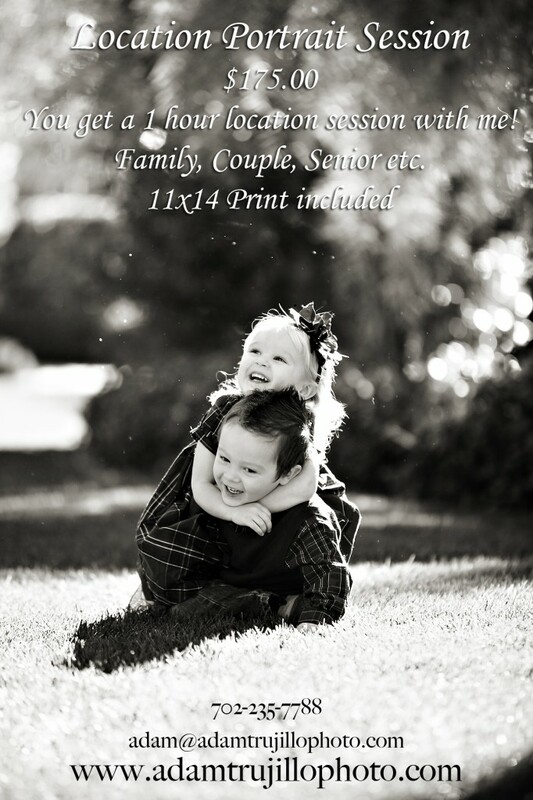 I am cutting my prices in half and offering you a great deal with a beautiful 11×14 print from your session included. Contact me to schedule your session today! Don’t miss out on this great portrait special! © 2013 Adam Trujillo Photography (All Rights Reserved)|ProPhoto Website by NetRivet, Inc.